to purchase tickets for this event. Hors d'oeuvres will be provided and a cash bar with all your favorite beverages. Silent and live auction. to see a complete list of silent and live auction items. A minimum donation of $25 / person is requested. Tickets are also available at the door the night of the event. Admission permitted at 8:00 pm. 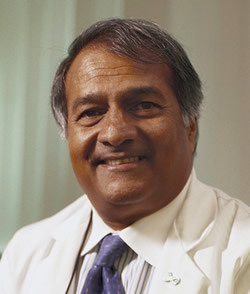 Pravin T. P Kaumaya, Ph.D., is Professor and Director of the Division of Vaccine Development in the Department of Obstetrics and Gynecology and is a member of the Innate Immunity Program at the OSUCCC-James. Dr. Kaumaya obtained his Bachelor of Science degree at the University of London and his Ph.D. at the University of Portsmouth, UK. He was a postdoctoral associate at the University of Texas at Austin and a research associate and Assistant Professor at Northwestern University. He joined the Department of Ob/Gyn at OSU as Professor in 1989. He has trained, mentored and graduated many students: undergraduate students (24), graduate students (25), and postdoctoral fellows (12). Dr. Kaumaya is internationally recognized as an expert in the fields of vaccine research with an emphasis on peptide vaccines for cancer, viral diseases, as well as peptide therapy for autoimmune diseases. He is an inventor on several issued and pending patents for Peptide Vaccines and Therapeutic Technologies. He has lectured worldwide and has published over 100 peer-reviewed articles in major scientific journals. Dr. Kaumaya investigates how a cancer vaccine can direct a patient’s immune system to recognize and kill their own cancer cells. 7:00 pm program with Kay Schlabig and Pravin T.P. Kaumaya, PhD. We're currently working on a poster promoting this benefit concert that you can download and hang up at work or local businesses. Check back later to download it! Davina Sowers hit the Midwest scene in February 2005 and she hasn't looked back since. It didn't take her long after moving to Minnesota from Key West, FL to start making a name for herself. With great vocals and piano, she commands attention on stage and leaves everyone smiling. Davina has been performing since the age of 5, with the support of an extremely musical family. Sowers, a classically-trained pianist, has years of experience in piano performance. Two things remain consistent in all her shows: her throaty, but cushiony voice, which has a tonal quality familiar to Bonnie Raitt, Etta James and a little Amy Winehouse and Joss Stone. Her band packs a rollicking New Orleans flavor, driven home by dueling horn players and a bayou thick standup bass. 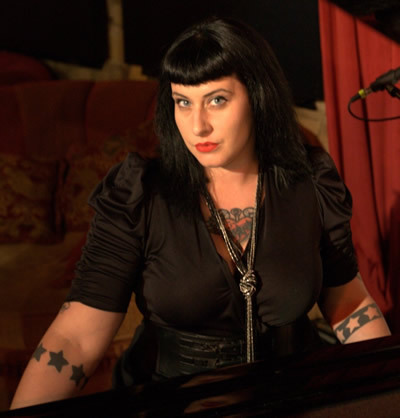 Davina and The Vagabonds have shared the stage with Little Feat, Buddy Guy, Elvin Bishop, The Blues Brothers, Joe Bonamassa, Aaron Neville, Ruthie Foster, Pinetop Perkins, Gary Moore, The Mannish Boys, Robert Cray, Los Lonely Boys and many others. We've made arrangements with The Conference Center at NorthPointe if you need to stay the night in Columbus. Mention "A Christmas To Cure Cancer" when making a reservation for the evening of December 3, 2010. Rooms are based on availability and are first come, first served basis.